Explosions ripped through two restaurants in the Ugandan capital, killing at least 64 people including a US citizen, as crowds watched the World Cup final, police said, terming the blasts terrorist attacks. The Inspector General of Ugandan police Kale Kayihura linked the explosions to recent threats by Somalia's Al-Qaeda-inspired Shebab militia against countries that have sent troops to the African Union (AU) peace force there. Shebab leader Mohamed Abdi Godane on July 5 accused the AU peacekeepers -- comprising Ugandan and Burundian troops -- of killing civilians in Mogadishu and called on Somalis to join the war against "the enemy of Allah". "Obviously this is terrorisn. That one is clear," he added. "At this stage we can't rule out anything." An AFP correspondent saw three wounded US citizens at Kampala's main Mulago hospital where dozens other injured people had been taken for treatment. A senior administration official said the United States was in contact with its embassy in Kampala and was in touch with the Federal Bureau of Investigation regarding requests for assistance from Uganda's government. It was not immediately clear who was behind the explosions or what anybody's motivation could have been, but Kampala city police spokesman Idi Ssenkunzi said they suspected that the perpetrators detonated bombs. Uganda became the first country to send troops to Somalia in early 2007 to prop up the war-torn country's transitional government, which were later joined by Burundian forces. The hardline militia have repeatedly attacked the AU peackeepers, killing scores and confining the fragile government's control of Mogadishu to just a few blocks. Last week, a regional bloc pledged to send additional 2,000 soldiers to Somalia to boost the AU peacekeepers' strength to the required 8,100 troops, sparking belligerent reaction from the radical Islamist groups. 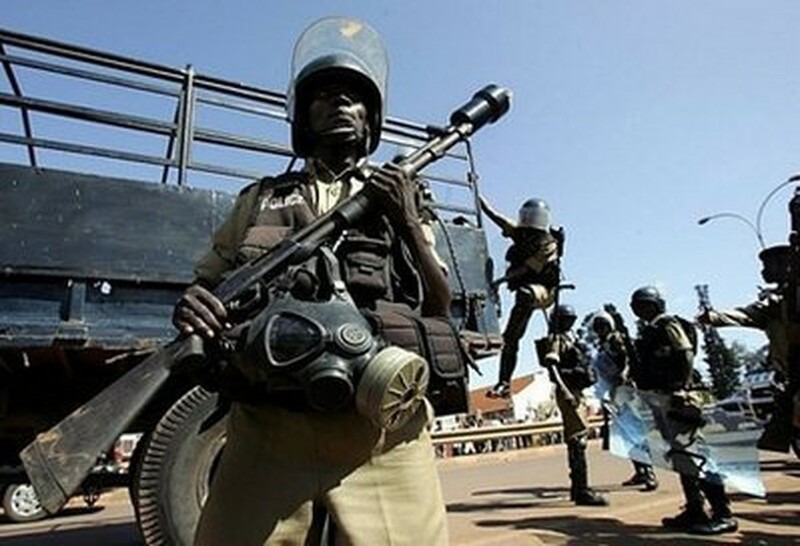 In Kampala, Uganda's police chief urged residents to avoid huge gatherings. Several security officers went to the scenes of the blasts, blocked roads and cordoned off the buldings, an AFP correspondent reported.